The centralizer is an important part of the structure of the lower drill and casing to prevent wear on the drill string or casing. 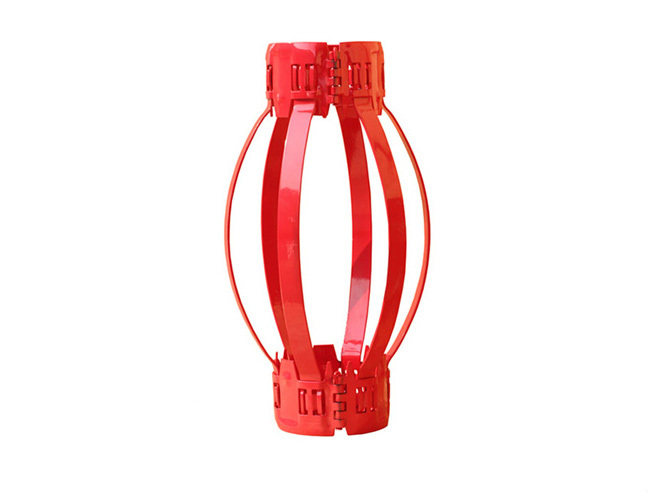 According to the centralizer, it plays the role of anti-slanting, correcting and stabilizing. As a Casing Centralizer China Manufacturer, we have produced Bow Casing Centralizer through extensive and repeated experiments and improvements based on this technical requirement. The Bow Casing Centralizer is suitable for installation on derricks on offshore and onshore drilling platforms as an auxiliary machine for casing casing right during drilling. The casing righting system is composed of a mechanical arm, a main control unit and a remote control device. The mechanical arm is equipped with a hydraulic power source for the working power, hydraulic and electrical control system on the drilling platform, which can meet the needs of the righting work of the casing to the buckle (interface) during drilling work. The Bow Casing Centralizer ensures that the 4" casing is centered and improves cementing quality. The casing righting device has the advantages of simple structure, flexible piston, good sealing performance, small outer diameter, and difficulty in encountering resistance. Previous: What Is Casing Centralizer?